20" Long. 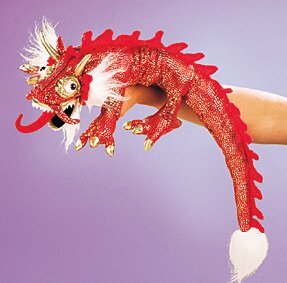 Based on a traditional Chinese dragon, this red dragon puppet features bright red fabric skin with shimmery gold highlights. This eye-catching puppet is a lucky find for the imaginative mind. Also available in a larger size.